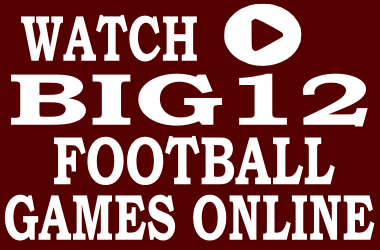 Find Big 12 Conference football online radio broadcasts and Big 12 football streaming audio and video for all Big 12 football teams. Big 12 Football Internet radio and online broadcasts for Baylor, Iowa State, Kansas, Kansas State, Oklahoma, Oklahoma State, Texas, Texas Tech, TCU and West Virginia football games can be found at Big 12 Football Online. Watch live Big 12 football games on your computer, phone, tablet and TV for free in streaming high definition video. Also, watch live pro football online, including local blackouts and pay-per-view games and regional college football games. One click for instant access to hundreds of sports channels worldwide, including ESPN, FOX, PPV, NBC and CBS live streaming, on the all new Live Football Stream. It’s simple to start watching Big 12 football games online. 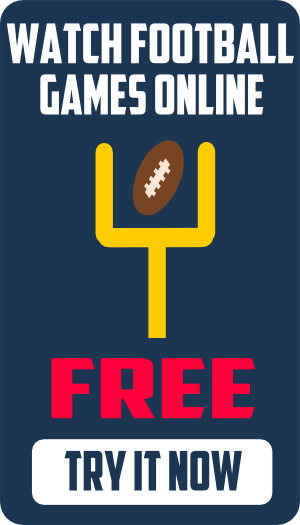 Listen live or watch live online with streaming audio and video to all your favorite Big 12 football, Big 12 basketball and Big 12 sporting events. Find all Big 12 football highlights, highlight videos and game replays of your favorite college teams. Baylor Bears All-Access…Listen or watch Baylor Bears football games online. The most comprehensive coverage of Baylor athletics. 1660 ESPN Radio…Flagship station for Baylor Bears Radio Network in Waco. Listen live online to Bears football and basketball games. KWBU…Listen live online to the official student radio station of Baylor University. Baylor Bears football streaming…Watch Baylor football online and listen to streaming Baylor football radio on the Internet. Watch Baylor football online…Find out where to watch Baylor football games online for free. Cyclones.tv…Official provider of Iowa State Cyclones athletic events. Watch Cyclones football and basketball on the Internet. Cyclone Radio Network…Online radio broadcasts of Iowa State Cyclones football and basketball. KURE 88.5…Online streaming audio broadcasts of Iowa State Cyclones sports from the official student radio station at ISU. Iowa State football stream…Watch Iowa State football online and listen to Iowa State football radio streaming on the Internet. Watch Iowa State football online…Get a listing of ISU Cyclones football games online. Watch Kansas football online…Watch Kansas football and basketball games live online for free. K-State TV…Watch Kansas State football online on the official multimedia provider of K-State athletics. The Wildcat KSDB…Listen to Kansas State athletics from the official K-State student radio station. Kansas State football streaming…Find out where to watch Kansas State football online and listen to Kansas State football radio streaming on the Internet. Watch Kansas State football online…Find out how to watch Kansas State football games online. Oklahoma All Access…Listen and watch live Oklahoma Sooners football and basketball online. Sooner Sports Network 1520 KOKC…Listen live to Oklahoma Sooners football games online. Listen to all of the Play-by-Play action this season on the Flagship Station for OU Sooner Football. The Wire…Listen to OU sports coverage from the official student radio station at the University of Oklahoma. OU Sooners football streaming…Watch Oklahoma Sooners Football online and listen to Oklahoma Football radio streaming broadcasts on the Internet. Watch Oklahoma football online…Watch the Sooners football game online for free. OKState.tv…Watch or listen to OSU Cowboy football and basketball games online. OKState.com Live Audio…Listen live to Oklahoma State sports online for free. KXZY…Official student run radio station of the Oklahoma State University. Listen to OK State sports coverage online. Oklahoma State football streaming…Watch Oklahoma State football online and listen to OSU Cowboys football radio streaming on the Internet. Watch Oklahoma State football online…Get the OSU Cowboys football game live on your iPhone, tablet or desktop. Frog Vision…Get access to TCU football games online. Watch TCU football online or listen to TCU football radio live on the Internet from the TCU Horned Frogs Football Radio Network. KTCU…Official student radio station of Texas Christian University. Listen to TCU football radio online at the Home of TCU Sports. TCU football streaming…Watch TCU football online and listen to TCU football radio streaming on the Internet. Watch TCU football online…Find out how to watch TCU football online streaming live for free. Longhorn Network…Official online stream of UT Athletics. Watch Texas football games live online. AM 1300 The Zone…Listen live online to University of Texas streaming audio with the Voice of the Texas Longhorns. TSTV…Texas Student Television is the only student-run, student-produced, digital college television station in the country. Watch Texas sports coverage direct from the UT campus in Austin. KVRX…Official student run radio station of the University of Texas. Listen to Texas sports online. Texas Longhorn football streaming…Watch Texas Longhorns football online and listen to Texas football radio streaming on the Internet. Watch Texas football online… Watch Longhorns football online for free on the Internet. Texas Tech All Access…Coverage of Texas Tech sports online. Listen and watch live games, highlights, press conferences and coach’s shows. SportsRadio 1340…Flagship radio station for Texas Tech sports broadcasts. Listen to Texas Tech football online. KTXT the Raider…Official student run radio station of Texas Tech University. Listen to TTU sports programming online. Texas Tech football streaming…Watch Texas Tech Football online and listen to Texas Tech football radio streaming on the Internet. Watch Texas Tech football online…Watch Texas Tech football games streaming live online. Mountaineer TV…Watch West Virginia football online and listen to WVU football radio on the Internet with the official provider of West Virginia football broadcasts. WWVU…Official West Virginia University student run radio station. Listen live to WVU sports online. West Virginia football streaming…Watch Mountaineers football games online and listen to WVU football online. Watch West Virginia football online…Find out how to watch West Virginia football games online.